Memphis has one of the coolest downtowns around. It’s innately cool, too, and cultural all year-round. But May events take the cake as our riverside setting becomes a mecca of activity. The Tennessee Brewery Revival, The Peabody Rooftop and the Autozone Sunset Symphony are three places we’re getting dressed and ready for today with help from three of Memphis’ wonderful boutiques: More Therapy, 20twelve and Indigo. More Therapy, located in Chickasaw Oaks Village, is the sister store to Therapy on the Square in Oxford, Mississippi, and it’s great head-to-toe “therapy” for your wardrobe. They’re currently expanding and moving to a new location inside the same shopping center. 20twelve is a swanky urban boutique located the city’s newest arts district, the Broad Avenue neighborhood. And Indigo is a Germantown shop with something for everyone, but smart casual is its specialty. In fact, they’re known for a plentiful collection of designer denim. Check out how these boutiques will get you dressed for May’s best events! This combination from More Therapy can take you anywhere you want to go downtown, including the hip Tennessee Brewery! 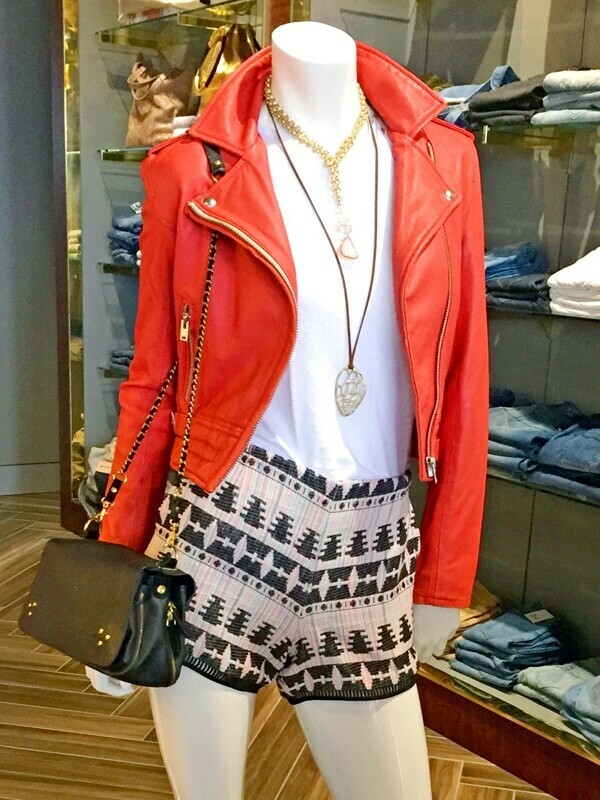 This outfit from 20twelve is a high-style head turner! Note: you need to be young and toned for these shorts, or brave and still toned! Otherwise, just substitute white jeans! A light and airy ensemble from Indigo is perfect for visiting the Brewery on a pretty day in Memphis. All of these pieces would be ideal for the coming season. Again, if shorts are not your thing, substitute some jeans: white, faded or dark all work well here! The Peabody tells guests to “come early and stay late” for their famous rooftop parties and even more renowned spectacular downtown view. For a summer night out Memphis-style, make your way to Union and Second on a Thursday between now and mid-August. And during the month of May, you might already be celebrating at one of Memphis in May’s annual venues, so why not wrap up the evening here? There is a cover charge, but ladies and hotel guests get in free before 7 p.m. VIP ticket packages are available. The live music schedule and all details are available online at peabodymemphis.com. This outfit from Indigo is perfect for a picnic at the Sunset Symphony and the many other directions you will go this summer. And, for those who just can’t do the boldly printed pants, these shorts provide a nice way to embrace the bold patterns with a bit less fabric! Shopping is more fun with the online SB Guide and new SB App! Download yours from the Apple store today!